An onboard system detected no driver input in the seconds before a Tesla Model X crashed into a highway barrier in California, according to a preliminary report from the National Highway Traffic Safety Administration (NTSB). The March 23 accident on Highway 101, near Mountain View, Calif., killed the driver, who was alone in the car. The Tesla's sophisticated electronics allowed safety investigators to determine precisely what the vehicle was doing, and how it was being controlled, in the moments leading up to the crash. According to the data retrieved from the system, the driver of the 2017 Tesla Model X P100D was using Tesla's traffic-aware cruise control and autosteer lane-keeping assistance, also known as Autopilot. As the car approached a paved “gore area” dividing the main travel lane of U.S. Highway 101 from the state Highway 85 exit ramp, it moved to the left and hit a previously damaged lane divider at 71 miles per hour. The system did not detect the driver's hands on the wheel in the seconds before the crash. According to NTSB, the car's cruise control was set on 75 mph, but the vehicle had slowed to 65 mph because the system detected another vehicle in front of it. Once the vehicle had pulled away, the car began accelerating, and was gaining speed as it hit the barrier and burst into flames. Tesla warns drivers not to rely on Autopilot as an autonomous driving feature, saying both hands should be kept on the wheel at all times. In the days after the crash, Tesla earned a scolding from NTSB safety investigators when it unilaterally released preliminary data it retrieved from the car, showing that Autopilot was engaged, with the adaptive cruise control follow distance set to minimum. 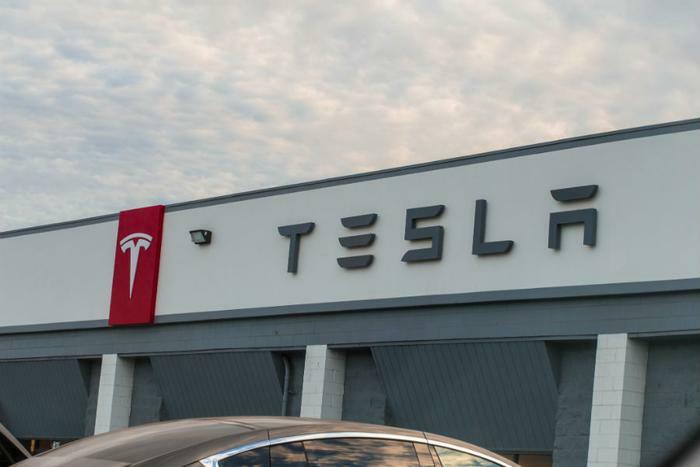 Tesla has vigorously defended its cars in the wake of high profile accidents, which have come under closer scrutiny because of the vehicles' sophisticated control systems that the company says are being misused. In addition to noting that the driver in the Mountain View crash did not have his hands on the wheel just before the crash, the NTSB report also found that he did not apply the brakes or take other evasive action.